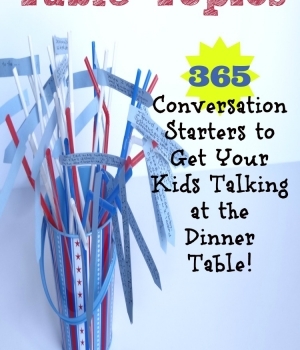 Are you looking for table topic ideas to get the conversation rolling at the dinner table? Here are 365 conversation starters to help ignite the dialogue at the table all year long. Just one of the many literacy projects that we share on Growing Book by Book! Each month there is a theme to the table topics. Some are fun. Some are serious. All are meant to get your creative juices flowing and develop language skills. Here is a look at the year. Need some encouragement to have nightly dinner conversations? In a study done by the National Literacy Trust, they found that two-thirds of kids who talk with parents at the dinner table feel confident about speaking in public. Just one more reason to have great conversations at your table! 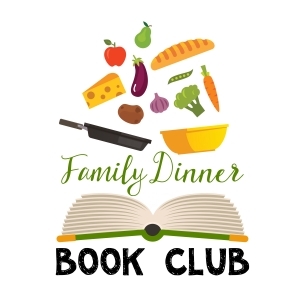 If you are looking for more table topic dinner conversation ideas, join our Family Dinner Book Club. Each month, we select a book to read and then provide conversation starters, table decoration ideas and a menu to accompany the chosen book.